Trying to get to work on time, get home or even run on an important errand all this could turn out to be a massive hassle with a broken or damaged garage door. A broken garage door could also pose a potential threat to your home security and the safety of your family. Whether you need to repair your garage door today or in the evening to avoid having to take off from work, ASAP Garage Door Repair is here to help you as and when you need. Call ASAP Garage Doors repair services at 732-322-8877 and get your doors inspected by our proficient garage door repair experts. Our sole motto is 100% customer satisfaction and as such we deal with all superior quality products and offer the best of our services. 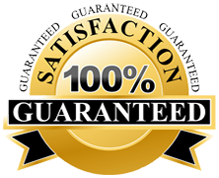 Hence we completely guarantee on all the services and products we install and sell. Here at ASAP, we value the precious time of our customers and therefore our team of experts works round the clock to deliver the services 24×7 to our prized customers. If the need arises, our experts make sure they assist you even on weekends or holidays. What Are the Core Services Offered by ASAP? ASAP is proud to offer its customers one of the best and highly efficient garage door repairs in Dayton, New Jersey. Our clients can feel free to call us anytime for all types of problems such as repair, replacement or installation of garage doors. How to Contact ASAP Garage Door Services in Dayton, New Jersey? It is not every day that you shop for a new garage door. Our team of experts at ASAP understands the need and value of a garage door. This is the main reason we don’t want our customers to settle down for ordinary, when we are here to offer you that extra-ordinary. Call us today at 732 322-8877. Speak to a garage door repair or installation expert and get a free estimate. You can also simply fill-up a no obligation form and send us your requirements. This entry was posted in Dayton on July 15, 2013 by admin.